If you are looking for information on the At Work Personnel Services franchise business opportunity, At Work Personnel Staffing Services franchises or At Work Personnel Employment Services franchising, then you have come to the right place. For over a decade, @WORK Personnel Services has built upon its core foundation of meeting and exceeding the needs and expectations of people seeking employment opportunities as well as clients seeking a full-service partner to assist with their company's staffing needs. By providing temporary, temp-to-hire, payrolling, and full time placement services, @WORK Personnel Services is committed to offering flexible employment solutions and the highest level of service available today. Knowing when it's time to own your own business and acting upon your decision should be a lifetime rewarding experience. For those seeking the freedom of owning their own business, there are several factors to be considered. Focus on a business that is growing today, with strong potential for the future. Choose an industry that suits your personality, skills, and comfort level. Calculate the initial investment and fee structure for start-up costs and total investment required. Consider the staffing industry for your new business venture. Outsourcing has become the preferred method of cutting costs and focusing on core business functions. According to a US Chamber of Commerce survey, 98% of all companies use some form of personnel staffing. 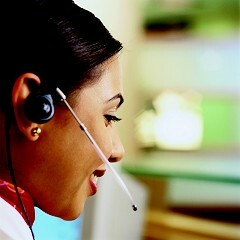 Overall, the temporary staffing industry has become the ultimate outsourcing service in America today. @WORK Personnel Services is a nationwide franchise network of personnel services supplying temporary, temp-to-hire, and full time placements. @WORK franchise offices provide a cost effective solution for any size business by supplying the most qualified employees to meet clients' needs. The @WORK Corporate office combines its own entrepreneurial spirit and personal commitment to each owner/operator with an extensive support system that provides strong corporate support and training combined with office flexibility to ensure your success. As an @WORK franchise, you are an integral part of the company's future. @WORK gives each franchise a personal commitment to excellence and assists in helping make the franchise decision, from pre-opening to supporting the office. @WORK Personnel Services continues to commit to the relationship of franchisor and franchisee by ensuring the best possible service available. Franchises are assured of quality service unmatched by any other company, with personalized local service, on-going training, and customized programs to meet each franchise owner's needs.